A few weeks ago, we got all kinds of hungry when we posted about the new sustainable sushi restaurant, Tataki, in San Francisco. But for those of you who can't make it out to San Fran, there's now a set of guidebooks just released by the Blue Ocean Institute, the Monterey Bay Aquarium, and the Environmental Defense Fund that will give you a lesson on which fish should, and shouldn't, make it into your maki roll. Each org has their own version of the guide (the Environmental Defense Fund's is slightly more focused on consumer health), but they decided to band together and present a united front to make the public more aware about the role that sushi plays in the sustainable seafood movement. "There's a lot of awareness about seafood – but not about sushi," says Ken Peterson, the Communications Director at the Monterey Bay Aquarium. "Even though people know they’re eating raw fish," they often don't relate to it the way they would to, say, dolphin-safe tuna, he says, and speculates that's perhaps because many dishes are identified in Japanese. So these bilingual guides will instruct users to consider how the fish are farmed and caught, and whether they're being threatened by overfishing. According to the guide, bluefish is on the no-go list, as the species population has dropped 90 percent in the past 30 years because of overfishing. Also on the no list: monkfish ("ankoh"), red snapper ("tai") and freshwater eel ("unagi"). Instead, try U.S.-farmed abalone ("awabi"), albacore tuna from the U.S. and Canada ("maguro") and farmed arctic char ("iwana"), which are all are more sustainable choices. These guides will be available as wallet-sized cards and are free to download, but I think that the digital versions, available on PDAs, are great for travelers. The Monterey Bay Aquarium's can be accessed by going to mobile.seafoodwatch.org, while the Environmental Defense Fund's Seafood Selector can be accessed through m.edf.org/seafood. 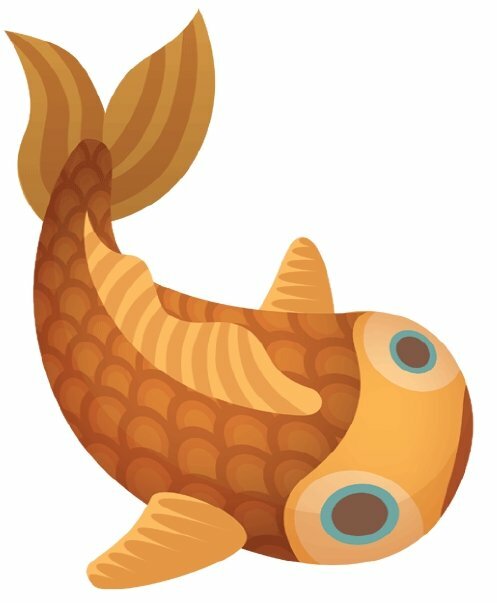 And the Blue Ocean Institute just launched the FishPhone program this month, allowing patrons to text the name of the fish and get a text back with its environmental assessment. As part of the launch, the Monterey Bay Aquarium is also launching a "virtual sushi party" on Facebook today, which encourages participants to go out into their communities, eat sushi, and report back with status updates on the fish they found. We'll be happy to oblige them. 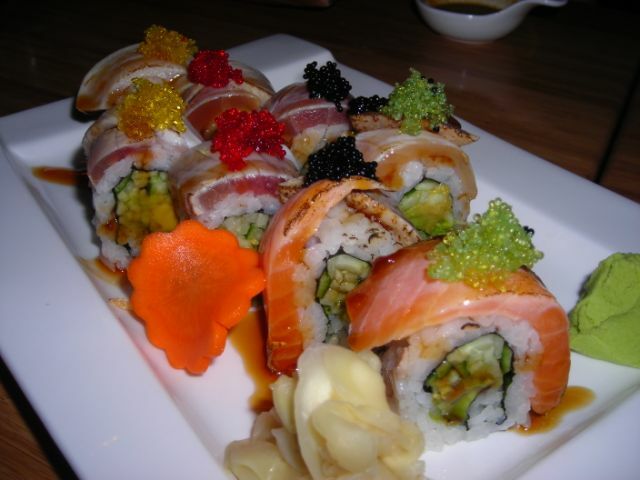 Read More: Time Magazine reports on the sustainable sushi movement. And read more about the global fish crisis in last April's issue of National Geographic Magazine. 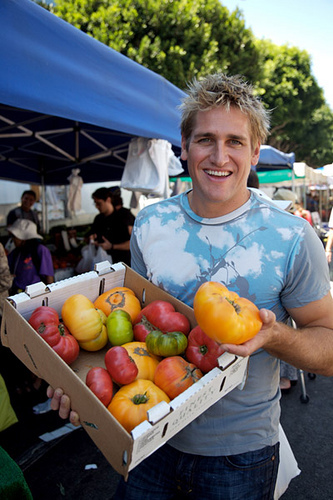 Growing up in Australia, Curtis Stone always had good food at his fingertips. His mom and grandfather both grew vegetable gardens and fresh food from the ocean wasn’t far away. His passion for sustainable, seasonal foods comes not only from his upbringing, but also from years of working in some of the world’s best (and toughest) kitchens. I caught up with Stone before his cooking demonstration at the Charlotte Shout Festival in North Carolina. The busy celebrity chef sat down with me to discuss travel, his philosophy on good food, and his upcoming projects. Stone began working at the Savoy Hotel in his hometown of Melbourne when he was 18. He eventually made his way to London, where he worked in some of Europe’s finest restaurants, including The Grill Room at Café Royal, Mirabelle, and Quo Vadis. Stone’s cooking philosophy – using naturally produced and seasonal ingredients – carried over into his television ventures, including TLC’s Take Home Chef. For the past two years on the program, Stone has helped to bring flavorful, sustainable meals to tables across the nation. After casually accosting people in the grocery aisle, Stone goes on to cook for people in their homes, where he’s learned a thing or two about the challenges ordinary people face in the kitchen. He now thinks of America as “home” and is quick to defend the country’s international reputation of being wasteful with its resources, especially when it comes to food. “The beautiful thing about America is once America says there is a better way of doing things, everyone gets on board. And sustainability and recycling are becoming more important in the States,” he says, and believes going "green" ultimately comes down to personal responsibility and making good choices. As a Texas native, I always look forward to this time of year, not because of fall foliage and temperatures that hover somewhere between brisk and perfection—autumn is somewhat of an abstract concept in Texas—but because this is Texas State Fair season. I’ve never been to any other state fairs, but I have a hunch that Texas’ annual celebration in Dallas is one-of-a-kind. First of all, as you walk into the 277-acre Fair Park complex, you are greeted by a 54-foot-tall cowboy, lanky and smiling as he calls out “Howdy folks” over and over. 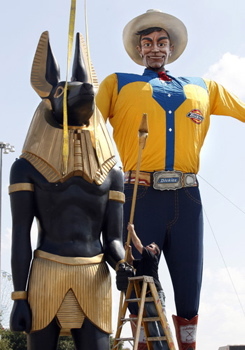 His name is Big Tex, and he has been a Texas State Fair icon since 1952. In his former life, he was the world’s tallest Santa Claus, but these days he wears mostly denim and pearl-snaps, custom fit by a team of eight seamstresses. But after you pass the odd duo and head deeper into the fairgrounds, the fun really begins. Choosing between concerts, craft booths, daredevil stunt shows, and pig races (yes, pig races) can be difficult, but choosing what to eat is even harder. Which brings me to the most mind-boggling thing about the Texas State Fair—the food. While many state fairs boast an array of standard, fairground junk food such as corn-dogs (Texas's own Fletcher’s corny dogs are hand-dipped right in front of you) and funnel cakes, the Texas State Fair takes this to a whole new level. Texans just are not satisfied with ordinary fried foods, which is why each year, there is some strange, new, fried creation that astounds North Texas and everyone else who hears about it. 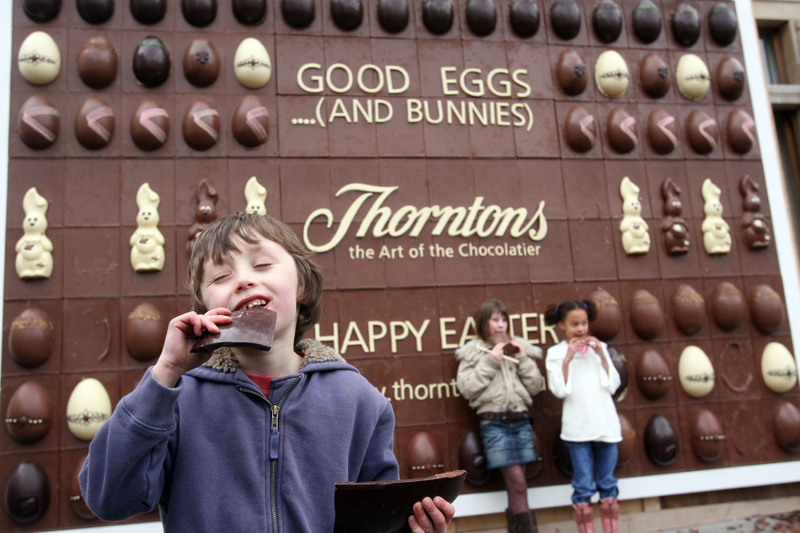 Thornton's, a British chocolatier, created an 860-pound wall of chocolate for an Easter 2007 event. Dubbed the "World's First Edible Billboard" (and devoured in three hours), the wall graced which London shopping area? Find the answer, and many more tempting questions, here. Contributing Writer Jim Conaway gets the dirt, literally, on Napa Valley's organic wine business. 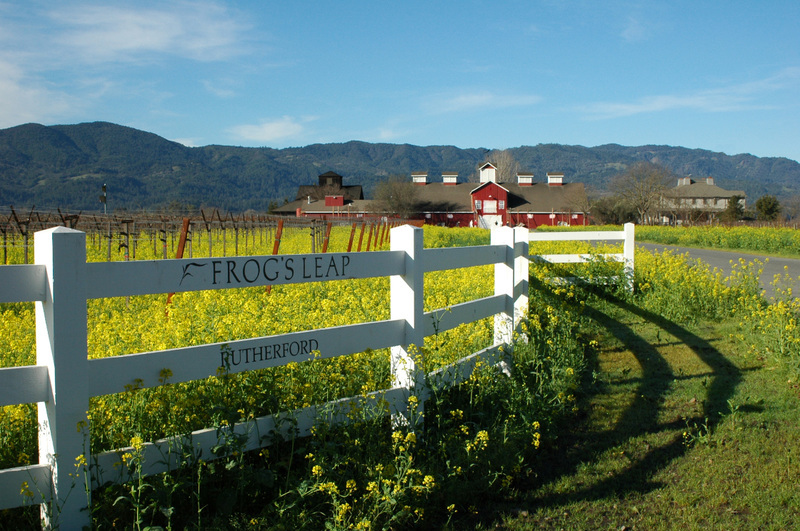 The barn is old, red, and lovely, topped by a droll weathervane – an elongated frog in mid-jump – and surrounded by a riot of blooming mustard and other chest-high nitrogen-fixers. This dense, nutritious jungle overruns the nearby vineyard and nearly hides the name, Frog’s Leap, painted on a fence rail. Despite sheets of black plastic stretched over a very large mound of aging manure, both the winery and grounds looked, the last time I visited, more nineteenth than twenty-first century. He has hopes for a parking shed with a roof of solar panels to recharge the batteries of the hybrid cars he wants to one day make available to employees, and one for a tractor that runs on the sun. But that’s another story in the broader narrative of organics, in part an attempt to instill in farmer and consumer a greater appreciation of the taste of place. Inherent in that taste, they say, are healthier communities at both ends of the production cycle – growing, and imbibing. 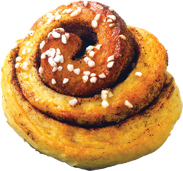 Here's a tip for you Minneapolis folks: The American Swedish Institute there will be celebrating Kanelbullens dag (Cinnamon Bun Day) on Wednesday, October 1 from noon to 7 p.m. Visit the Institute's Kaffestuga to enjoy freshly baked cinnamon rolls for $3 each. Swedish coffee, lingonberry saft (a soft drink), pastries and cookies will also be for sale. Cinnamon Bun Day began in Sweden in 1999 when the Home Baking Council (Hembakningsrådet) celebrated its 40th anniversary. Now the day has become a tradition held every year in early October. The American Swedish Institute is located in a 33-room stone castle built by Swedish immigrant newspaperman Swan J. Turnblad in l908. Turnblad founded the Institute in 1929 to promote Swedish and Swedish-American culture. The Institute offers tours of the mansion, which is on the National Register of Historic Places. After you fill up on cinnamon rolls, you can listen to a special presentation about the history of the mansion at 7 p.m., and learn about the lives of the builders and woodcarvers who constructed it. Besides sculpted ceilings and a two-story grand hall, the mansion has eleven floor-to-ceiling kakelugnar (Swedish porcelain tile stoves). The Institute is also offering a Sunday smorgasbord on October 19th at 1 p.m., which will include such dishes as herring in wine sauce, lemon and lime herring, eggs topped with mayonnaise and shrimp, gravlax (marinated salmon) with sweet dill-mustard sauce, kålpudding (cabbage pudding) served with cream sauce and lingonberries, Swedish cheese, smoked ham, and creamy fruit salad. There will also be smoked sausages, a fresh fruit platter, pickled cucumbers, Jansson’s Temptation, meatballs, red cabbage, boiled potatoes and Swedish sausages. Save room for dessert: Swedish apple and cinnamon cake served with homemade vanilla sauce. Musicians will play old-time Scandinavian music. The cost of the meal is $25, and the Institute will take reservations until Friday Oct. 17. Can't make it to Minneapolis? Celebrate with a Swedish treat by making some of your own. Check out this recipe, or watch a video on how to bake them. Before I left on my honeymoon, my pal asked me to bring her back a bottle of Lizano Sauce. “Sure,” I replied naively, “but what’s that?” In response, she launched rhapsodically about the condiment she savored during her time counting turtle hatchlings in Costa Rica back in 2001. Seemed innocent enough. 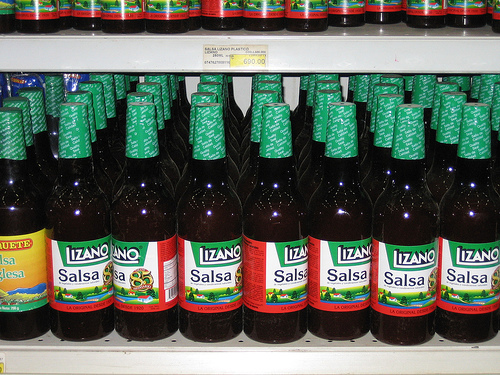 Little did I know Costa Rica’s Lizano Sauce has quite a following throughout the world. It’s a deep brown sauce made of water, salt, veggies, and some chemicals. It’s spicy but not hot; a little sweet but not overpowering. It was created in 1920 by the Lizano Company and is now produced and distributed by Knorr. It’s used to marinade meats, and tableside as a sauce. It’s as ubiquitous as salt and pepper on any Costa Rican table. 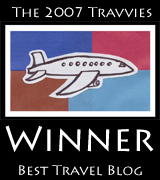 You can put in on your morning gallo pinto (literally, “spotted rooster”; a quintessentially simple Tico dish of rice and black beans), sprinkle it on some salty French fries instead of runny ketchup, or smother your arroz con pollo (“rice with chicken” and an assortment of tiny veggies) with its smooth flavor. Lizano produces a variety of sauces under its brand name, including Hot Sauce and Chilero, but its “Salsa” is what the world craves. I'm not kidding: if you Google “Lizano Sauce,” more than ten pages of hits come up, most hoping to sell and ship it to you; other results are desperate pleas on message boards asking other addicts the best place to buy it. While Costa Rica’s cuisine is an amalgam of Spanish, American, Caribbean, and South American cooking that's not entirely distinct from other culinary traditions in the region, its Lizano Sauce helps it stand apart. It’s authentically Pura Vida! Is there an international condiment that you crave? Culinary groups are offering mini cooking seminars that teach you how to make your own sushi or tabouleh. And local upscale restaurants will be dishing out samples of a variety of popular menu items – from tapas to seafood to Southern classics – for a fraction of the usual price. Teetotalers may want to steer clear of the Robert Mondavi tour, which includes tastings and cooking demonstrations. And, thanks largely to Compass Group North America, a Charlotte-based food management company, Shout will be a “green” event. They plan to recycle plastic and glass bottles as well as aluminum and cardboard. And, as they did last year, Compass will donate leftovers to the Second Harvest Food Bank in Charlotte. (Stay tuned for an upcoming story on Shout going “green”). The Shout Culinary Arts Experience will take place on Friday, Sept. 26 from 5-10 p.m. and Saturday, Sept. 27 from 12-9 p.m. at the Johnson and Wales University Campus at 801 West Trade Street, Charlotte, NC. Eat seasonal! Buy organic! You’re preaching to the choir in San Francisco, where sustainable cuisine is no longer a buzzword but the word on the dining scene. Now there’s a new trend in town—sustainable sushi. What is sustainable sushi anyway and why should we care? It's prepared with seafood coming from sources, caught or farmed, that can exist long-term without compromising the health of fish populations, habitats or the ecosystem. Unfortunately, the most beloved sushi items in the United States—long-line tuna, farmed salmon, farmed freshwater eel (unagi), farmed imported shrimp, and farmed Japanese amberjack tuna (hamachi)—aren’t sustainable. So what’s an eco-conscious sushi lover to do? Enter Tataki Sushi and Sake Bar. The forward-thinking restaurant opened last April in the Pacific Heights neighborhood of San Francisco and touts itself as the world’s pioneer in serving sustainable sushi. 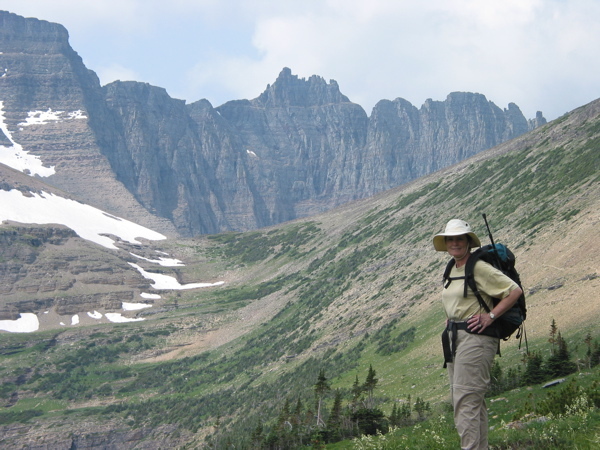 I recently paid a visit to explore my options. The postage-stamp-sized restaurant sat about a dozen customers at handcrafted bamboo tables. Once our order was taken, the first dish arrived quickly. 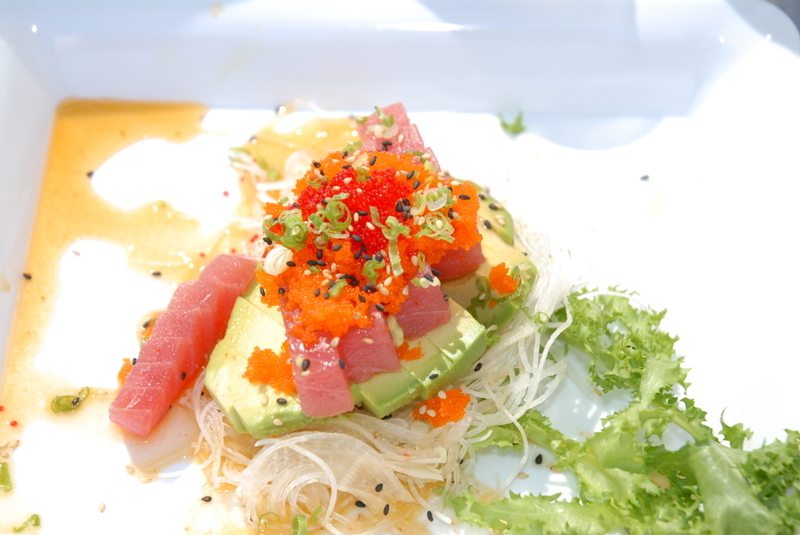 The kampachi tataki comprised lightly seared slices of Hawaiian almaco jack (a type of amberjack) served with avocado slices, jalapeños and dribbled with a spicy ponzu sauce. The 49er roll came next, comprising the rose-peach flesh of arctic char—an ocean-friendly substitute for farmed Atlantic salmon, and just as tasty— served with tobiko (flying-fish roe), avocado, and lemon slices. Then the tataki roll arrived. Draped with Technicolor flaps of almaco jack, skipjack, local albacore, and hand-line yellowfin (maguro), the roll was finished off with generous sprinklings of masago, each artful pile different from the next - wasabi, soy, yuzu, and traditional masago.